If youre going to add surround sound to your home playback system, you will want to do it once - and do it right. Thats why the HKTS 16BQ/WQ home theater loudspeaker includes five voice-matched satellite loudspeakers for the center, left/right front and left/right surround channels, in addition to an attention-grabbing, 200-watt powered subwoofer. The speakers are magnetically shielded to prevent interference that can damage your television. Together, the combination creates an immersive, 360-degree surround-sound environment. Weve engineered all of the system components to work together, resulting in a rich, realistic, all-encompassing sonic performance with convincing sound effects. If you want to adjust the sound, weve equipped the subwoofer with phase and bass-boost controls. 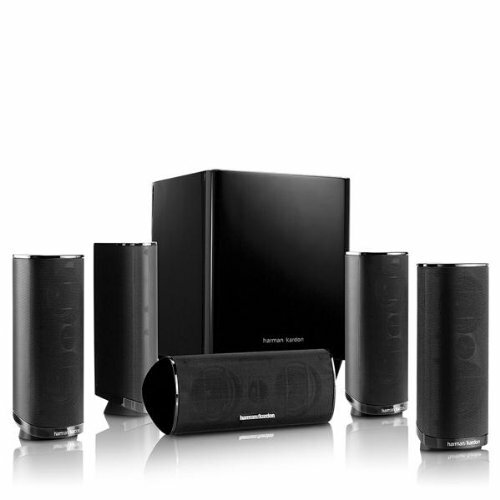 If you have any questions about this product by Harmon Kardon, contact us by completing and submitting the form below. If you are looking for a specif part number, please include it with your message.